The technicians here at Acqua Plumbing are leaders in trenchless technology. Acqua Plumbing has continued to bring the latest technology in the plumbing world, delivering the highest quality of work, with the lowest possible cost to you. To help keep your home sewer line in tacked, we will do a thorough video inspection and show all the problem areas in your sewer line and make a custom plan with you, to give you are best sewer repair solution, along with the industries lowest price. There are two methods of trenchless technology, fortunately Acqua Plumbing & Sewer offers trenchless pipe replacement, that can repair your collasped , broken or deuterated sewer lines without having to dig up your entire property, and is just as reliable as traditional digging methods. This means less money on repairs as well as Acqua Plumbing gives you a 50 year warranty on all Pipe lining or Trenchless sewer repair systems. Acqua Plumbing also offers Hydro jetting/ Drain cleaning on your current sewer system to clean any infestation of vermin or vegetation that may have intruded the sewer line. The traditional method of pipe repair involves using heavy machinery to gain access to the pipes below ground. This method can cost more and disturb the surrounding area. When trenchless line repair is a viable option we use this less invasive approach of trenchless pipe re lining. We are a Perma-liner certified installer of Trenchless pipe lining systems. This is the least invasive means to quickly repaired any broken sewer line. Acqua Plumbing serves you with experts in trenchless line repair. Acqua has the tools and skills to reline a pipes without digging a trench. Trenchless line repair is often a better solution than digging down to your pipes. Trenchless pipe re lining is a popular alternative to the trench solution. •DON'T BE FOOLED by our competitors when it comes to trenchless technologies. They might tell you trenchless pipe burst is the way to go in trenchless sewer repair, this is not the truth. The best, most reliable, and least damage only requiring one hole/ spot to be dug for the sewer repair is TRENCHLESS PIPE LINING, offered by Acqua Plumbing. Trenchless pipe bursting requires two or more spots/holes to be dug for the pipe to be repaired and limits in length. Unlike the method we use, the Perma-liner certified system (trenchless Sewer pipe lining) has many options as we can position our materials to make a pipe size change, directional change, and we are not limited in length as pipe bursting is. •Both may have the same 50 year warranty but the costs to install can be very much different, and you want to have the most innovative, state of the art, cost efficient method of repairs when it comes to your home or business. Many of the competitors out there will also try and inform you they are Sewer Contractors, what you need to know as a customer is that to be a LEGAL sewer and trenchless sewer contractor, you have to have a Sewer Bond separate from the Plumbing or contractor Bond need, also to be certified in both Sewer Repair and Perma-Liner Trenchless Certified. Make sure to ask your sewer contractor when receiving an estimate that you are paying for the LEGAL and certified sewer contractor, not just any person or company trying to swindle you. Remember to call the Smart Plumbers' at Acqua Plumbing, When it comes to knowledge "From the Faucet to the street our knowledge can't be beat!" We offer 10% off any comparable companies/ competitors written estimate apples for apples for a sewer liner installation. Trenchless Repairs are not limited to sewer line repairs but also water line repairs. If your water service line to your home has a leak instead of spending hundreds or even thousands on a plumber or leak detection company trying to locate the source you can just install a completely new line. The traditional method would be to dig a new line to your home, but what happens if you have a rockiery in the way?, a driveway perhaps? or just do not what to tamper with your landscaping. Acqua plumbing can instead bore (like a mole) a new line directly to your home (same location if needed) and connect your water line from the water meter! Trenchless Technology is the simplest solution for all your main sewer or water service line problems, less expensive, and less time consuming. Why Should You Choose Acqua Plumbing? 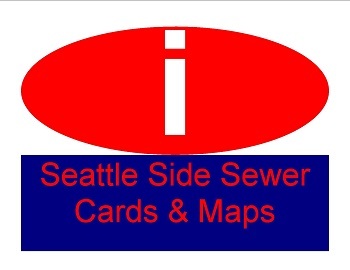 Bridges Missing Sections of your sewer line like NEW!